The new building conveys an air of connectivity, transparency and openness on a tight site. Lighting supports this effect by illuminating the façade from the inside out with indirect fixtures mounted on fascias. Lit ceilings in the workspaces on the upper floors enhance the sense of continuity. In combination the niches, lit soffits and mullion patterns make abstract compositions of light and color. 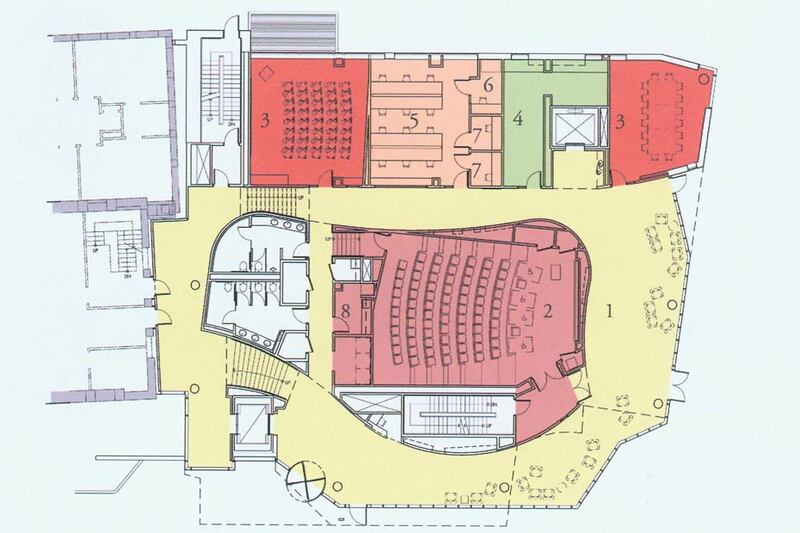 A thick curving wall wraps the lecture hall with decorative niches made of fluorescent strip and painted gypsum surfaces. 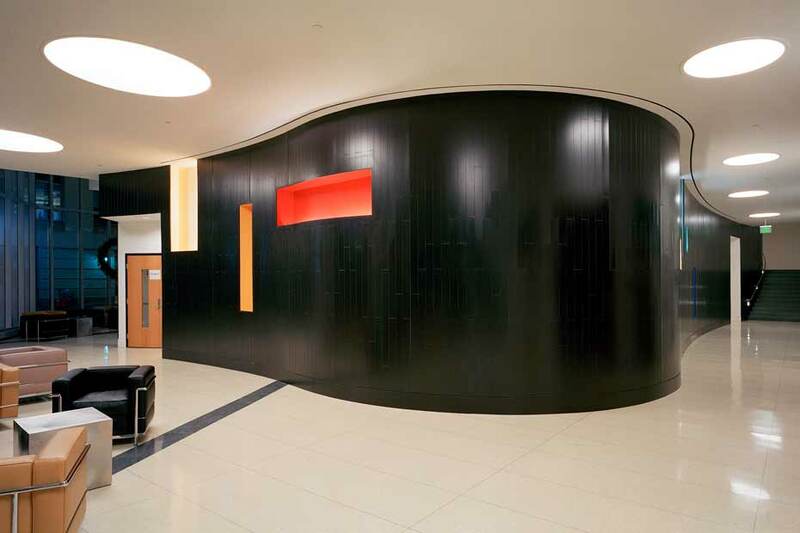 Large round downlights complement the curved wall while lighting the corridor and lounge. 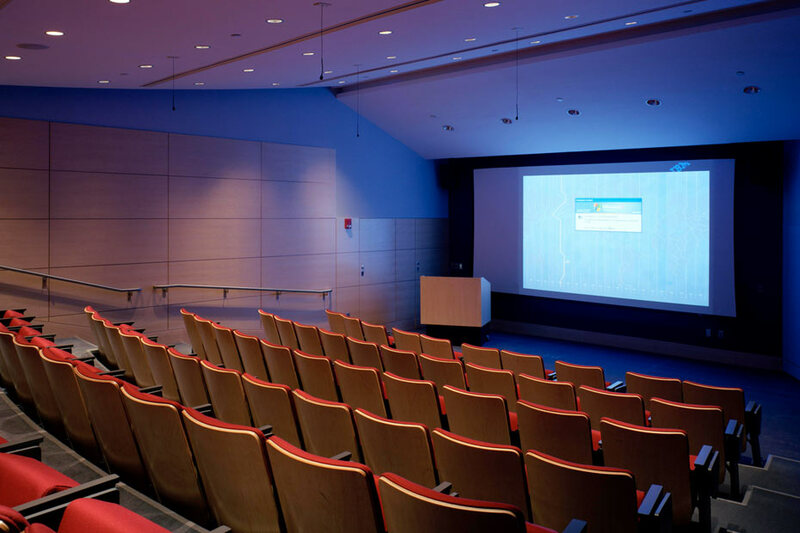 Preset dimming controls allow precise control for audio-visual presentations. 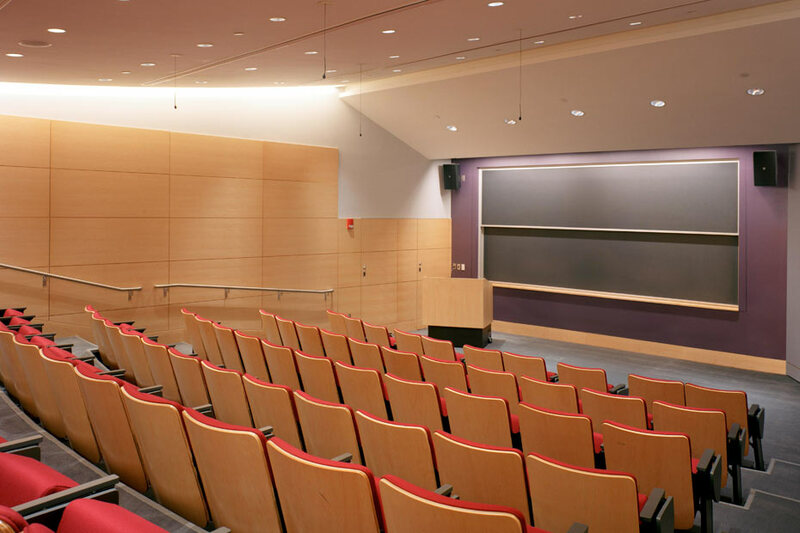 In the lecture hall linked fluorescent cove fixtures float the curved ceiling from the walls. Small adjustable halogen accent lights illuminate the seating and presentation area while accommodating the curved surfaces. Fluorescent wall washers highlight the front wall. 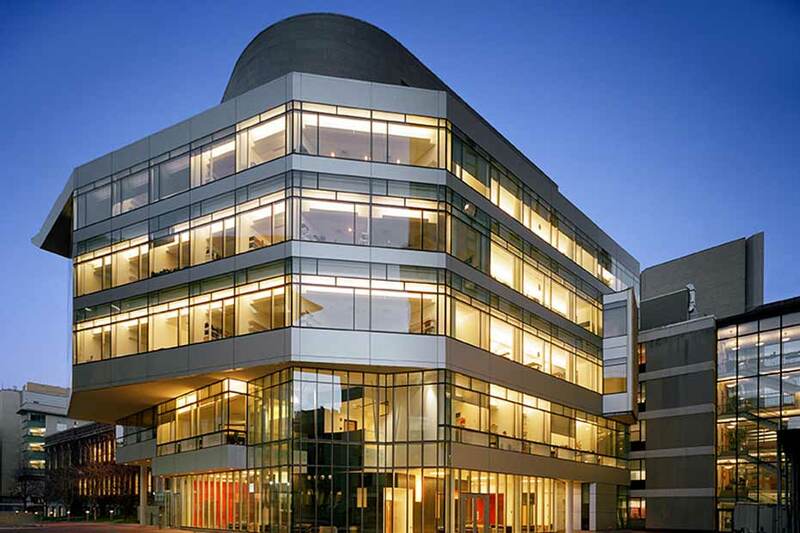 Laboratory workspaces open to circulation and views outdoors. Direct/indirect pendants in combination with task lights under the shelves give diffuse ambient illumination with accent on the work surfaces and flexible control for varying tasks. Lighting complements the architectural forms that create a sense of transparency and connectivity on a tight site surrounded by more opaque and imposing buildings. 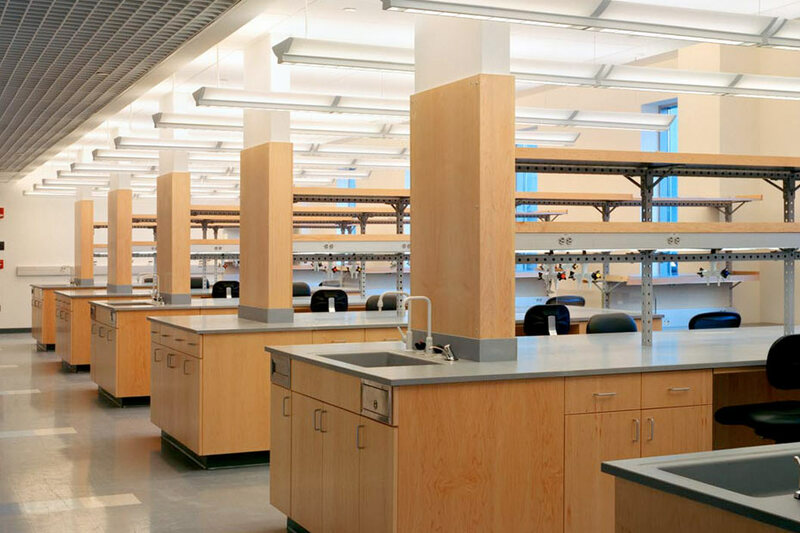 The combined effect of a glass façade, high perimeter ceilings, indirect fixtures and task lighting makes for a well illuminated interior of laboratory and office spaces by day and by night. 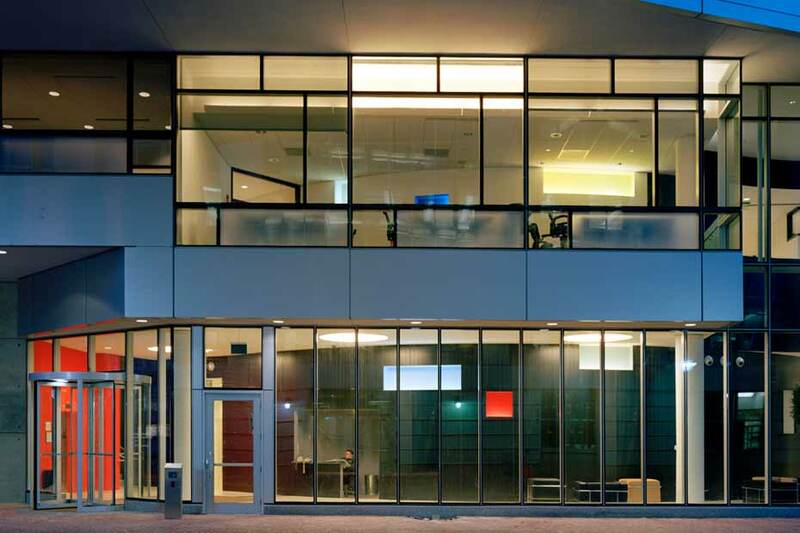 Lit colored surfaces and sculptural forms lighten the clinical atmosphere.